John was born on 1 November 1885 in Nigeria. His father was Enang Okpokitu, a native of a town called Okoyong up the Cross River. Pictures of John as a child can be found on the page about James Marcus Brown. John was admitted by Rev J M Brown as a mission pupil when he was nine years old. And received all his training from the PM Missionaries. He was brought to England in 1899 by Rev C F Gill. He was able to secure an English day school education. On his return, John was appointed as a teacher in the school at Jamestown by Rev N Boocock, and for seven years served in that capacity. He also acted as an interpreter for the missionaries, translating their sermons so that they could be understood by the native population. Seeing the ruin wrought among his people by the sale of drink, John established a Band of Hope and secured a membership of over one hundred pledged to total abstinence. In conversation and by example, he was always seeking to lead some soul to decision and secured many who became candidates for baptism. In this way John gave proof of the aptitude he possessed for winning his countrymen. 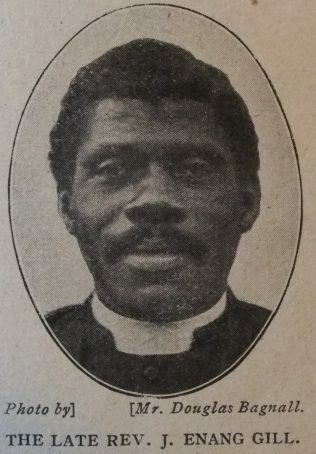 John was accepted as a candidate for the PM Ministry in 1908 and, after serving his probation, and doing credit to himself as each of the yearly examinations, he was received as an approved native minister. His ordination took place in the church at Jamestown. John visited England as part of the Missionary Jubilee. He was the first native Efik minister. John’s ministry was spent at Jamestown, with the exception of a brief term at Urua Eye. When John became a minister there were four churches under the Jamestown Mission, with a total membership of sixty. His last report was of fifteen churches and nine hundred church members. The mission, in 1919, comprised seventeen preaching places. Many required difficult journeys through forests and across rivers. There was also the hazard of coming across dangerous animals. During his ministry, John baptised over one thousand people of his own race into the fellowship of the church. John married Mary Bassey on 4 May 1910. 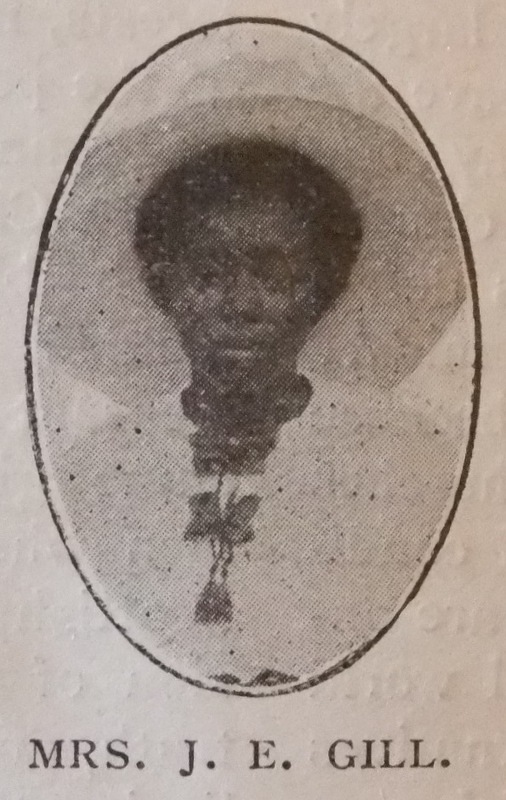 Mary was the eldest daughter of Chief James Egbo Bassey, the ‘King’ of the Jamestown River. John and Mary had three sons and a daughter. John died on 25 February 1921 due to heart failure following an attack of smallpox.